Nurse Mates Align™ is an innovative ergonomically designed orthotic that helps place the foot in a more optimum position to assist with proper alignment, stability and support. 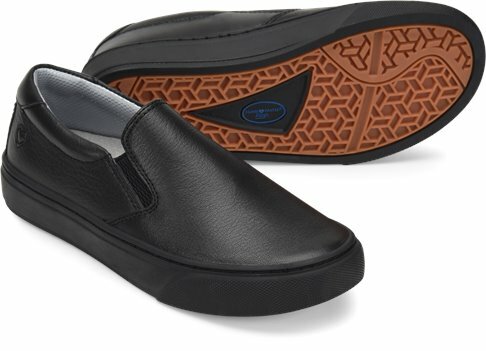 The Align™ Faxon is an easy double gore slip on with padded collar. Soft full grain leather and fabric upper options and marked slip resistant bottom. I couldn't get used to that Align arch. My balance is off.